Hiya! I updated my wants lists ( or more like been building it up for days ), and since last time I have expanded my collection to all psychic types in general. My main collections are Drowzee, Hypno and Metagross, but I have soft spot for so many psychics that it's hard to decide what to keep as main and what is side XD ( I think this is a familiar feeling for many ) Landmin and Zorua are little side collections of mine. ALSO, if you happen to have collections of any psychic type pokémon, I would love to see them! They're my current team on BW2 so I'd love to have their figures. (Plus, Crustle and maggyo would be appropriate with my Cilan fig :3) They don't need to be MIB, and even a few paint rubs and scratches is probably okay. I'd prefer to buy the majority of them together, but if you have any of them I'm definitely interested! And so this post isn't boring, trivia question: Do you have any of your ingame teams in merch form? This could be Zukan, kids, plush--really anything! I always love seeing setups like this, so feel free to share! A friendly little reminder for my auctions. They end right after new year if your on the west coast! Click the picture to go to the auction slots and for more info! To make this a little more exciting, my boyfriend and I were on stumble upon and we came across this site where you can mix and match (combine) pokemon! Its prettt silly/awesome. Check it out. Do you live in Australia? Do you want to meet cool people? If you answered yes to all the of the above then you should come meet us at PAX AUS 2013! 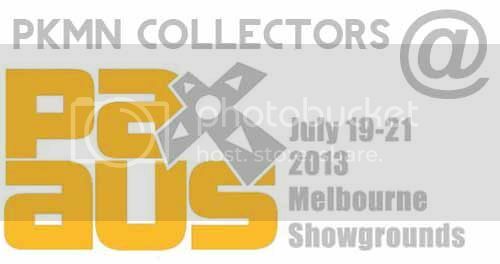 mamath and myself will be attending this year, and since there seems to be so many collectors in Victoria, thought is would be a great idea to arrange a meet up with you cool, cool people. Admittedly this is a rather early arrangement, since the convention isn't until July, however tickets are selling super fast, so if you want to go you need to buy them now (if you haven't already!). Three-day and Saturday tickets are already sold out, and Sunday is 50% sold! So if you're coming, please comment below and let me know which day you'll be there! Thanks for reading and look forward to seeing you there! Afternoon my fellow collectors and a very Happy New Year! So I have finally gotten around to photographing my collection. This is sadly the first time I've done a collection post since I joined in June. :( So this is my 6 month collection update. Before we go into the photos, I thought I would do a little game. How many metal figures can you spot in the photo?? Okay, so here is some quick info about myself before we go into the collection. My name is Charm. I am 23 and live on the Big Island of Hawaii. I am married to my best friend Harry and we have a handsome little boy named Aiden. 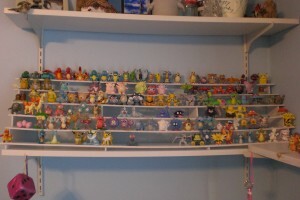 We are all Pokemon fans, with our own little collections. 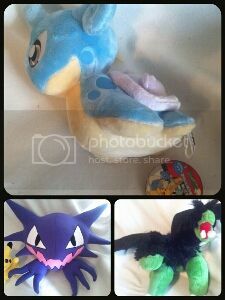 Also, I just put up a lot on eBay of Pokemon goodies. Maybe someone could GA it or something. I was granted sales permission by dewott on 10/4/12. I am here on the evening of this looming 'huge announcement' from Nintendo with a much less important personal one I've just completed my collection website! While there are still a few tweaks to be made I am satisfied with it enough to share it. So please, go check it out! For anyone who collects the same lines I do please feel free to use any photos of items I have taken for your wants lists if you'd like, no credit needed as long as they aren't claimed as your photos. Here's to whatever crazy shenanigans the announcement tomorrow brings us! Hello everyone! I'm bringing you my first sales post today. Including the weeding out of my very tiny Lugia collections and the sales of some cards. below to be transported to the precious. PLEASE WAIT UNTIL ALL THREADS HAVE BEEN POSTED BEFORE BIDDING/POSTING ANYTHING! THREADS ARE ALL UP, BID AWAY!! Hi guys! I just wanted to show you guys what I have been working on. So thanks to the idea and pictures I got from dialny, I finally have a way to display my tomy figures! I think it looks pretty nice. :) The only problem is that the board of foam core I got was a little warped so the shelves bend a bit, but whatever. I left some space for the one's I'm missing. It's going to feel nice when I'm able to fill them! Hey guys, here with a want post. Im still on the search for any totodile merch, and feraligatr. 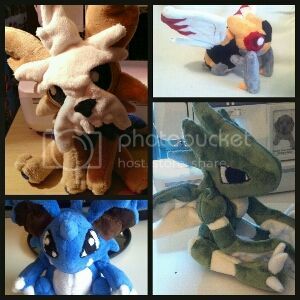 Also If you have a jolteon pokedoll for sale i'd probably be interested. Hey everyone! Hope everyone is having a nice New Years Eve so far. I just wanted to make my first ever wants post on here. I've seen the most adorable plush (or pair of plush) that I was suddenly into. 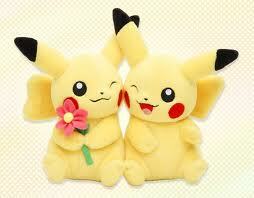 I'm not really a fan of Pikachu, but when I saw the Pair Pikachu plush I knew I wanted it. I want them for me and my boyfriend because were going on a trip to Italy this summer and I want them to be travel buddies for both of us. I'm a little low on money right now, due to Christmas and whatnot, so I don't have much to spend on them right now. I'm looking for at most about $20 for the pair, maybe at most $30 shipped. I'm not really sure what they go for, so please forgive me if it's too low, although I think it's a bit reasonable. Hope everyone's having a happy new year! 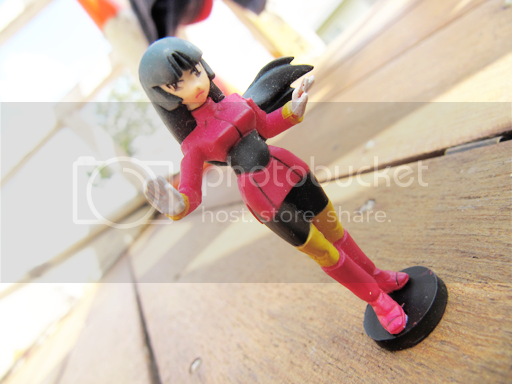 * I was granted sales permission on 09/03/11 by dakajojo. With 2012 about to end I wanted to show off my recent gets and my collection as a whole. 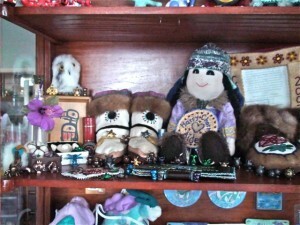 You can check out my end of 2011 post here but most of the pics are dead so I reuploaded some to here. These are my main focus as well as birds and cats and a few others! Hi, everyone! 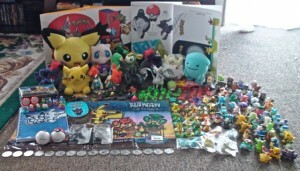 I know a lot of you use Tumblr, so I started a Pkmncollectors blog a few months ago. I've not updated it recently, but I hope to change that. The problem is that I need content! I can just Google images, but I don't want to take any images without permission. I hope to feature one person's collection each week, so please send me pictures of your collections, no matter how big or small they are! You can send them to me via Livejournal or via the submit tool on Tumblr. I'm looking for collections of plush, cards, figures, whatever you collect! 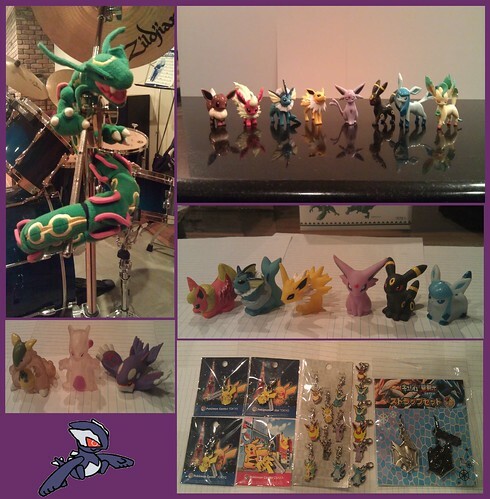 Or you could send pictures of some of your rarest items, Pokemon collection stories, etc. I hope everyone had a great Christmas and happy new year to all of you! The URL for the blog is pkmncollectors.tumblr.com. Sorry for the boring post. ;__ ; here is a cute old school gif for you all.